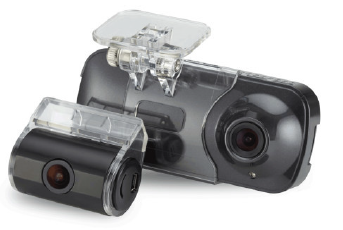 An increasingly popular piece of kit, dash cameras provide drivers with a record of their journeys and on-road behaviour, as well as added peace of mind on the road. Sitting neatly on your dashboard, this in-car camera system records entire journeys. So fleet owners needing first-hand insight into driver performance and those involved in accidents where liability is in dispute can use the film as evidence. Our bespoke, tamper-proof camera systems use larger hard drives than standard models on the market. With up to eight separate cameras offering high spec digital recording, working in conjunction with or independently to the main unit, our SD cards and hard drives need increased storage capacity. Intuitive response, intelligent design and able to securely record and store hours of footage, our camera systems are ideal for use in taxis, HGVs and buses. If you need to monitor your fleet whilst on the move, take advantage of our internet camera option. This set up uses a Wi-Fi dongle, which works together with our pioneering SmartPort system, to provide you with a wireless connection and live feed to your smartphone. 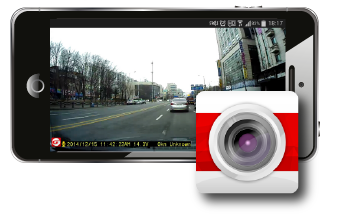 So you can sync your phone with your dash camera and view live images or adjust various settings remotely. Combat false claims and ensure peace of mind with G-Shock sensors that enable Full HD recording on your dash camera in the event of a jolt, impact or unexpected movement. When the sensor detects movement along one of the three specified axes (up/down, left/right, forwards/backwards), it responds accordingly, automatically locking the video file in production and saving the footage that might be crucial at a later date. The sensors can be triggered by minor incidents, like potholes, or larger incidents, like crashes and collisions. GPS tracking offers a whole new level of accuracy when it comes to tracking the vehicles in your fleet. Each dash camera comes with GPS tracking and playback viewing software, which is accessible by download or on the SD card supplied. When plugged into the PC, this software displays a map of the route taken, alongside playback footage, to indicate where erratic driving, harsh braking or any incidents occurred. For those who need to view their fleet’s movements on a mobile device, our GPS Viewing Software app is ideal. You can see the playback footage and corresponding data on the screen of your smartphone, so you’re in the loop at all times. You can purchase a camera from our Online Store now or if you've got an enquiry give us a call on 0161 219 4299 or send us a message on our Contact Us page.